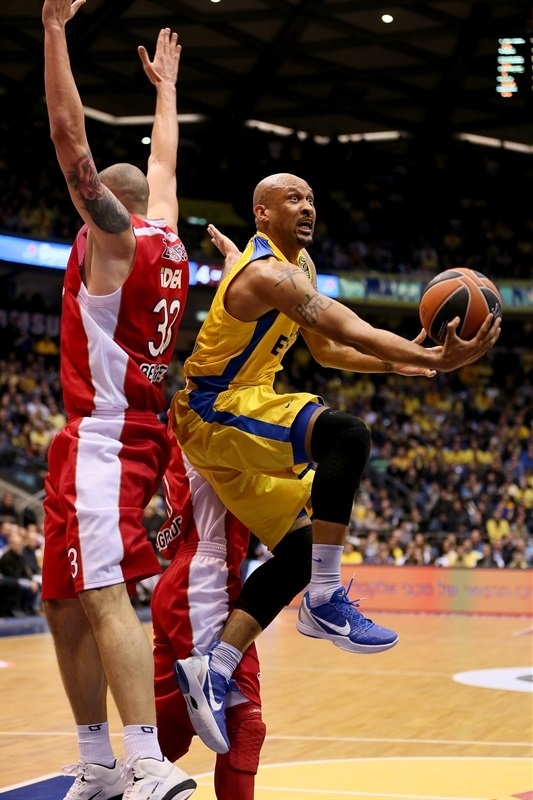 Maccabi Electra Tel Aviv overcame Crvena Zvezda Telekom Belgrade 78-67 on Thursday in the first Top 16 game at the renamed Menora Mivtachim Arena. Brian Randle collected 16 points, 9 rebounds and 4 steals and Sofoklis Schortsanitis added 15 points for the reigning champs, who improved to 1-1 in Group E, while keeping Zvezda winless. Maccabi led by as many as 10 in the second quarter, but Nikola Kalinic helped the visitors narrow the gap to 37-33 at halftime before taking the lead in the third quarter. However Maccabi entertained with several alley-oops as it regained control and pushed the lead to as high as 18 in the fourth quarter to claim the victory. Jeremy Pargo added 12 points, Yogev Ohayon totaled 10 points, 8 assists and 3 steals and Sylven Landesberg also scored 10 for the winners. Kalinic led Zvezda with 18 points, Marcus Williams recorded 13 points and 9 assists and Boban Marjanovic finished with 10 points, 8 rebounds and 2 blocks. 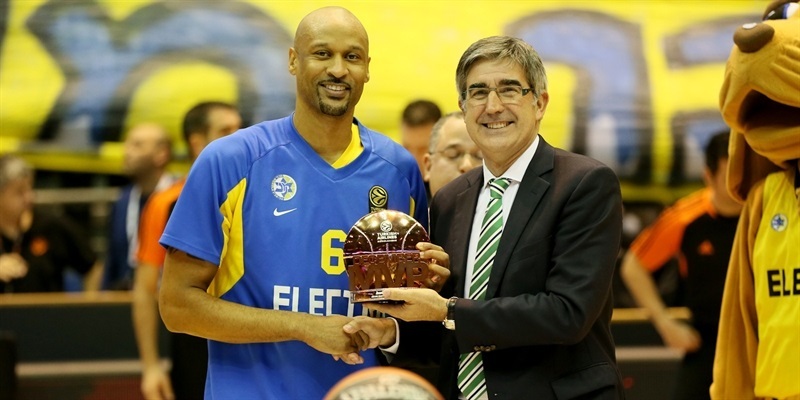 Maccabi’s Devin Smith received his bwin MVP for December award prior to tipoff from Euroleague Basketball President and CEO Jordi Bertomeu. Maccabi won the opening tip and went inside to Schortsanitis, who drew Marjanovic’s first foul just seconds into the contest. Maccabi continued to feed Big Sofo, who scored twice as the hosts started 5-0. 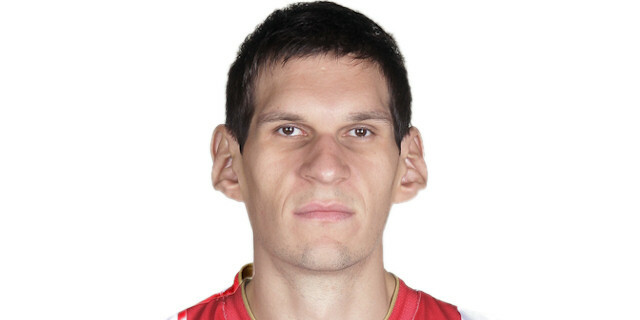 Nemanja Dangubic got Zvezda on the scoreboard with a three from the top of the key. 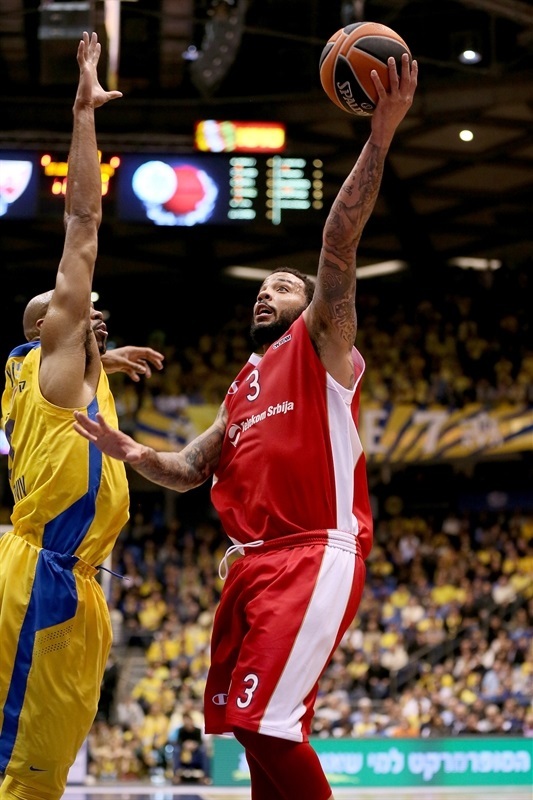 After Marjanovic stuffed Schortsanitis, Marcus Williams gave the visitors the lead with a triple. 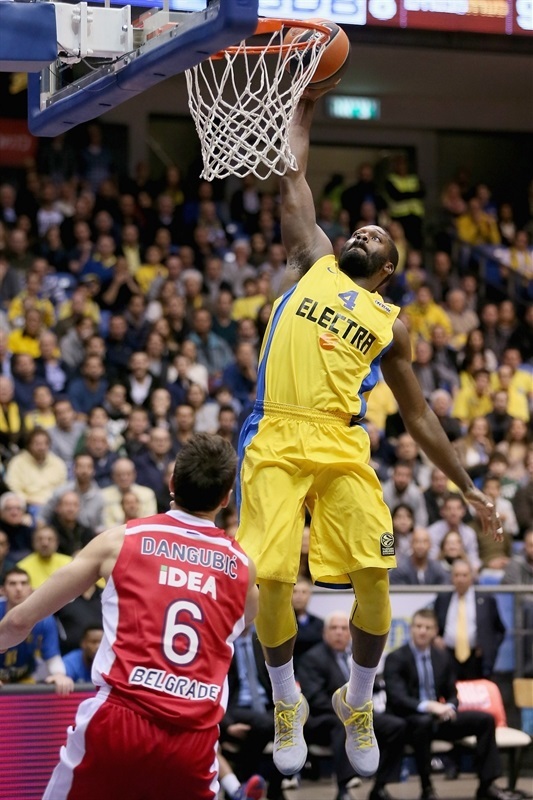 Schortsanitis stepped outside and hit a jumper to make it 7-6. 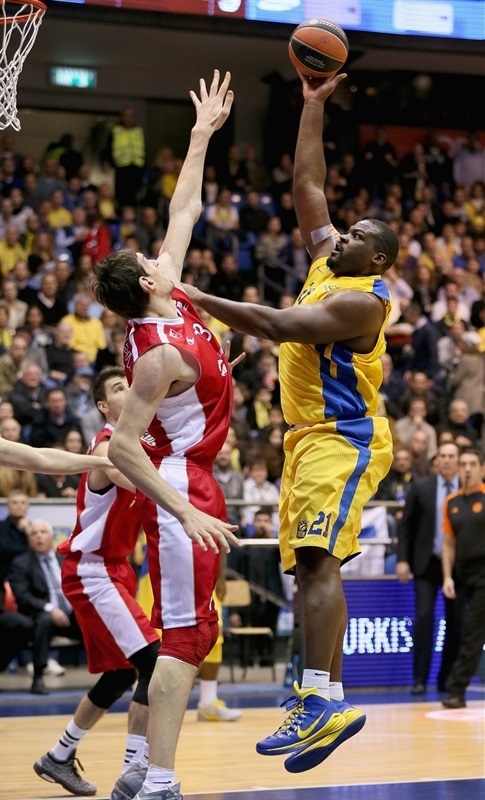 The lead switched hands on the next several scores, with Pargo and Luka Mitrovic trading slams. 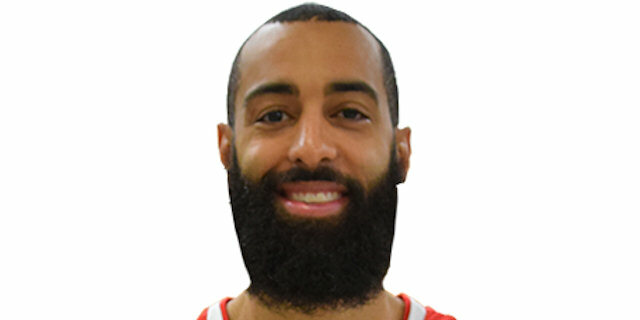 Alex Tyus came in and picked up where Schortsanitis left off with a bucket in the paint to make it 13-10. Marjanovic muscled his way to a slam at one end, but Tyus answered quickly. A Kalinic triple tied the game at 15-15. Pargo found an open Ohayon for a layup and then Tyus for an alley-oop slam. Kalinic’s second triple brought the visitors within 1. Ohayon’s layup past the outstretched arm of Marjanovic made it 21-18 after 10 minutes. Landesberg nailed a jumper and Mitrovic a layup in the first minute of the quarter. Randle used a spin move to get his first basket. Kalninic fought his way inside to keep the score even. Landesberg hit a long jumper to put the hosts up 5. A Kalinic bounce pass left Maik Zirbes open for a slam. Randle tipped in a Schortsanitis miss and finished a fast break with a slam to make it 31-24 before Zvezda called timeout four minutes into the quarter. 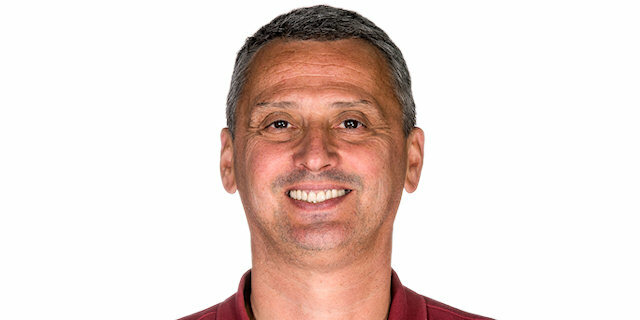 Pargo connected on a long two-pointer only to see Kalinic get to the basket for a three-point play seconds later. Landesberg scored twice in transition as the difference reached double figures, 37-27. Kalinic countered with a three-pointer and Marjanovic banked in a jumper to bring the visitors within 37-33 at the break. Marjanovic’s tip in and a Kalinic slam tied the game less than one minute into the second half. Pargo’s deep three at the end of the 24-second buzzer was met by a Williams triple to make it 40-40. Williams finished a break with a Williams layup for the visitors’ first lead since early in the first quarter. An Ohayon three-pointer briefly put the hosts back ahead, but Kalinic continued his monster game with a floater in the paint. Ohayon picked up a loose ball and took it for a layup and a 45-44 lead. Randle and Marjanovic traded baskets inside. The same players then swapped free throws. Schortsanitis scored over Marjanovic on the offensive glass and Ohayon whipped a great pass to Randle for a slam and a 53-48 lead. Schortsanitis free throws increased the margin to 56-49. 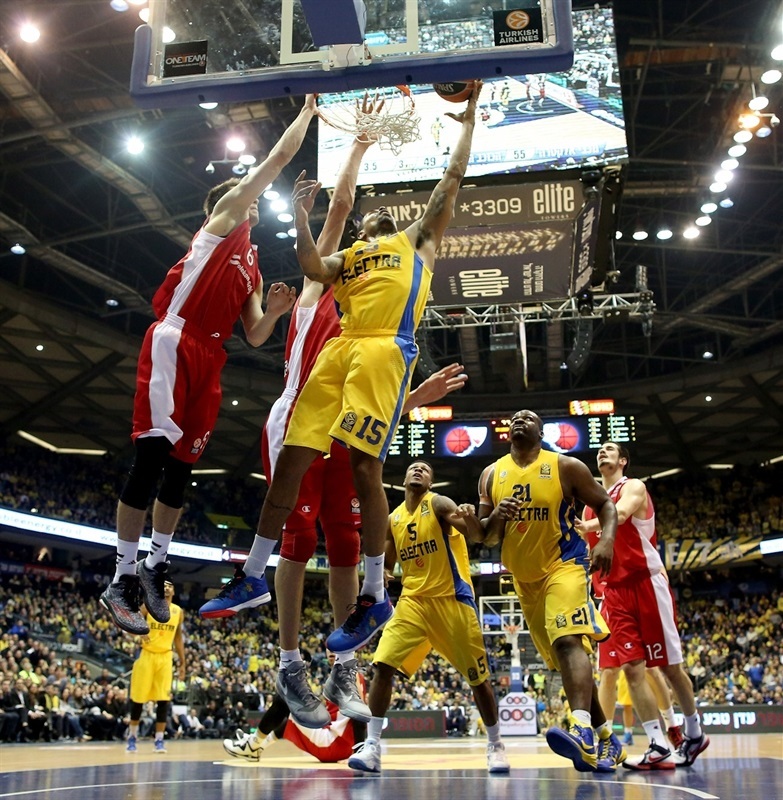 Big Sofo continued to get to the line and the Maccabi defense continued to deny Zvezda. Mitrovic finally hit a three to make it 58-52. Smith’s first points of the night came from downtown and Ohayon sent Landesberg a great pass for an easy score and an 11-point advantage. After a Zvezda timeout, Brank Lazic buried a three. Pargo ignited the crowd with a tough three to make it 66-55. Randle added free throws for a 13-point cushion with five minutes remaining. 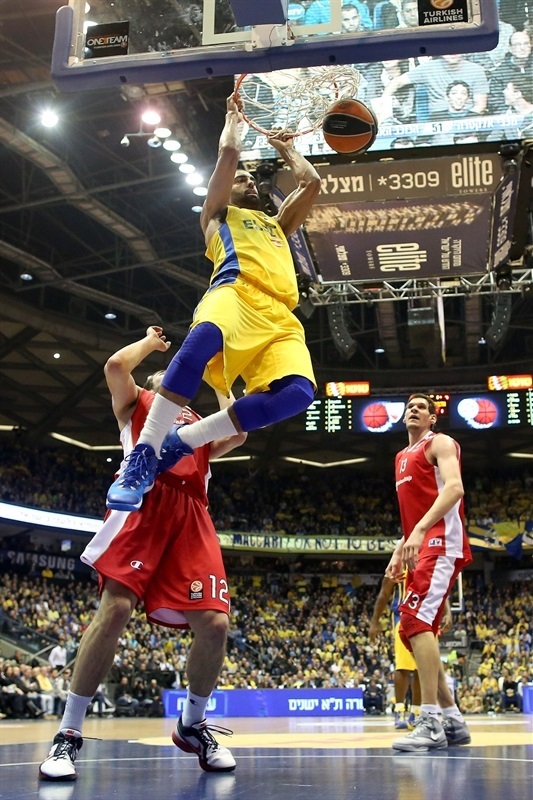 Williams went through the Maccabi defense for a layup. 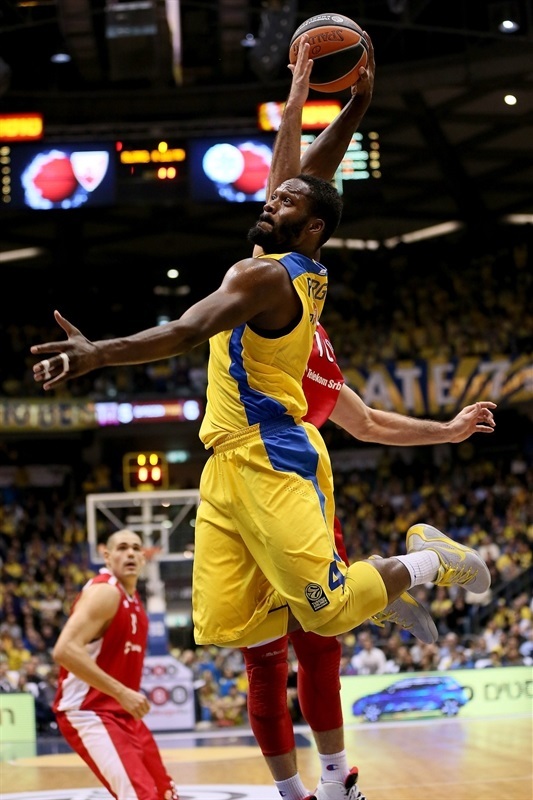 But Pargo added free throws and assisted to Randle for an alley-oop slam as the lead hit 72-57. Zirbes got to the line for 2 points, but Smith scored the next 5 points to end any doubt at 77-59 as the champs claimed another home win. 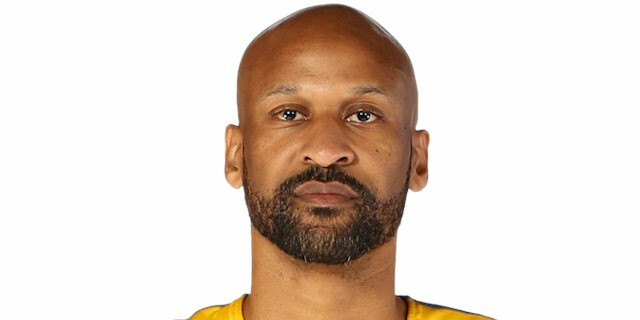 “It was difficult to deal with the high-quality transition offense. We made too many mistakes offensively in the turnovers and we allowed them to score easy fast breaks in transition. 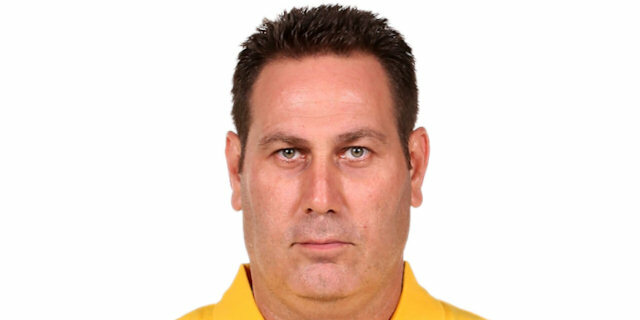 We had a good result with some turnovers in the first half, but they had too many offensive rebounds, so Maccabi had a big advantage and they easily finished the game with this." “Every game is its own. This is good for moral and I guess good for momentum, but before next week we have a game on Monday, so we need this to transition to that one. Hopefully we will do well and that will transition to Barcelona. We have improved for sure, from the start till now. Last week was a tough one for us – to give up a lead and not be able to get it back was obviously hard because we wanted to steal one on the road. But every game we are trying to do what we can and today we got a W."